Keeping in tune with the previous posting, we may as well follow up with the announcement that the Walkman has officially ejected its last tape. The company announced on Monday that it has ceased production of the classic, cassette tape Walkman in Japan, effectively sounding the death knell of the once iconic, now obsolete device and marking the end of one of the most successful consumer gadgets of all time. Yes, they were actually still being manufactured until as recently as April 2010! Until the first generation Walkman was released on July 1, 1979 in Japan (known as the “Soundabout” in many other countries including the USA, as “Freestyle” in Sweden and as the “Stowaway” in the UK), people had no concept of portable music other than holding a transistor radio up to their ear. More than portability, it fostered a personalisation to music, a theme the iPod would also highlight in those early dancing silhouette ads. The Walkman was also the father of the mixtape, an offspring that nearly trumps the progenitor. For the first time, music was something you could make yours by arranging it and swapping it. Somewhat ironically, the announcement was delivered just one day ahead of the iPod’s ninth anniversary on October 23 — although the decline of the cassette Walkman is attributed primarily to the explosive popularity of CD players in the ’90s, and not the iPod. 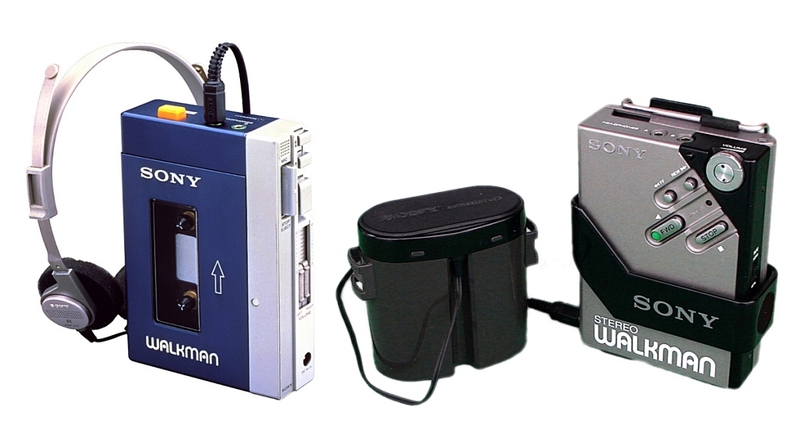 Nevertheless, the “Walkman” brand will continue to live on via Sony’s range of portable CD players (previously the “Discman”) and other flash-based players as well as Sony-Ericsson mobile phones. This entry was posted in Technology and tagged gadgetry, MP3, portable, Sony, tapes. Bookmark the permalink.